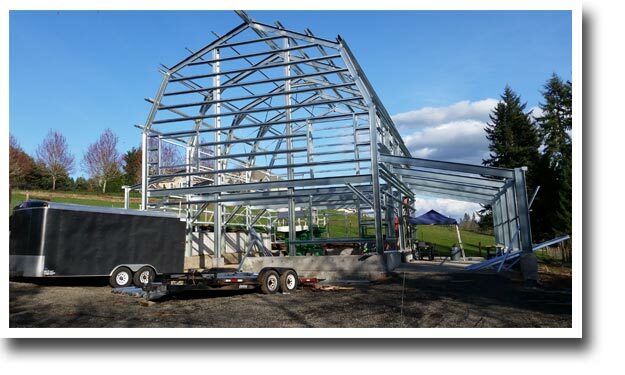 The Gambrel style steel building is commonly associated with Quaker building traditions and barns. Each sloping roof section is broken into two parts—one close to the ridge that is relatively flat and one closer to the eaves that drops down steeply. This design makes maximum use of space under the roof. 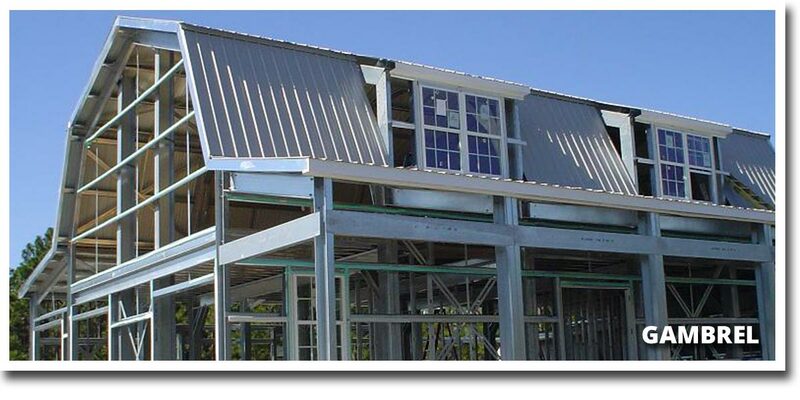 The Gambrel style gives you the maximum open space while still allowing a full mezzanine, which is better for a full two story effect. This is a good choice if you want a full mezzanine. 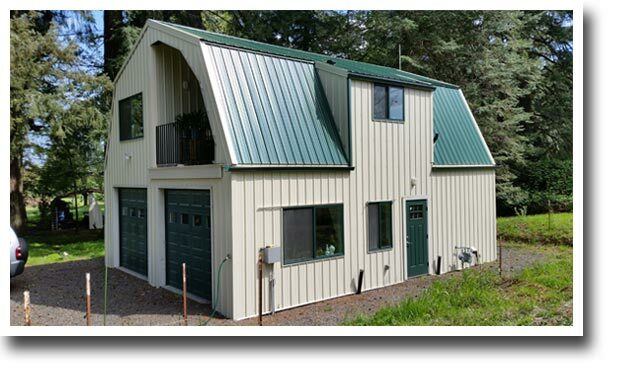 Looking for a barn with a hay loft or even a home/shop combination? 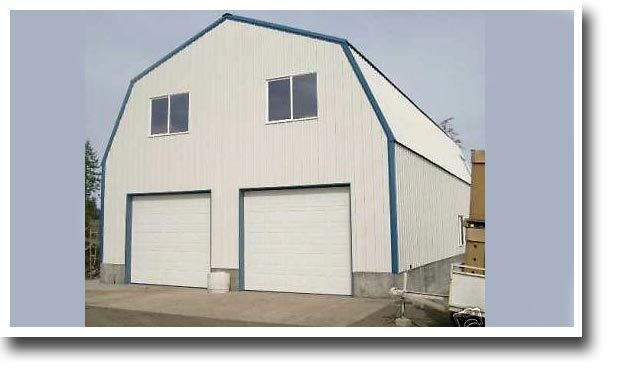 This is a great option and Next Generation Steel Buildings can make this dream a reality. Oregon, Washington,Idaho, Northern California, and more!